British Sign Language (BSL) is the preferred language of over 87,000 Deaf people in the UK for whom English may be a second or third language (A total of 151,000 individuals in the UK who can use BSL - this figure does not include professional BSL users, Interpreters, Translators, etc unless they use BSL at home). Sign languages are fully functional and expressive languages; at the same time they differ profoundly from spoken languages. BSL is a visual-gestural language with a distinctive grammar using handshapes, facial expressions, gestures and body language to convey meaning. The earliest recorded instance of gestural communication among Deaf people occurs in the Talmud. In his book, "Britain’s Deaf Heritage", Peter Jackson speculates that the presence of sign languages among Australian aborigines, Kalahari Bush People and North American Plains Indians suggests that the use of sign language goes back to prehistoric times. BSL has been in use for hundreds of years. The first printed account in the UK of its usage was recorded in John Bulwer’s “Chirologia – The National Language of the Hand” in 1644. Before that, in 1595 Richard Carew first recorded an observation of Sign Language in use between two Deaf people, Edward Bone and John Kempe, in his Survey of Cornwall. Earlier still, in the Parish book of St Martins’, Leicester, an account can be found of a wedding conducted partly in Sign Language on 5 February 1576. References to Sign Language are also found in the Bible and in Greek and Roman writings. Irish Sign Language is used in both the Republic of Ireland and Northern Ireland. Irish Sign Language is more closely related to French Sign Language (LSF) than to British Sign Language, though it has influence from both languages. It has influenced sign languages in Australia and South Africa, and has little relation to either spoken Irish or English. 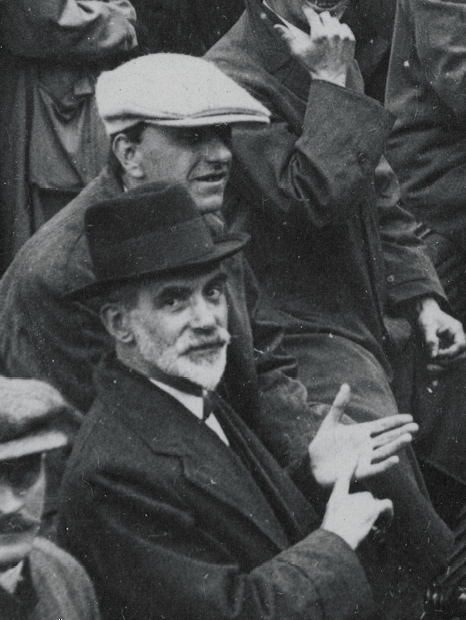 The Irish Deaf Society says that ISL "arose from within deaf communities", "was developed by deaf people themselves" and "has been in existence for hundreds of years". According to Ethnologue, the language has influence from both LSF and BSL, as well as from signed French and signed English, BSL having been introduced in Dublin in 1816. Is it an international language? Contrary to popular belief, Sign Language is not international. Sign languages evolve wherever there are Deaf people, and they show all the variation you would expect from different spoken languages. There are not derived from the spoken language of a country. Thus, although in Great Britain, Ireland and the United States the main spoken language is English, all three have entirely separate sign languages. As with spoken languages, a sign language can evolve from a parent sign language and therefore show affinities. For instance, due to historical and political links, Australian Sign Language and modern BSL share a common ancestor, and there are similarities between the two. American Sign Language (ASL) bears a resemblance to French Sign Language (LSF) because Laurent Clerc introduced the “methodical sign system” developed by the Abbe de I’Epee in eighteenth century France into American Deaf education. There are also the regional dialects and “accents” which are present in every language. There is a collection of internationally accepted signs – International Sign (IS) – which is sometimes used in the course of international meetings of Deaf people. In 1988 the European Parliament passed a Resolution on Sign Languages, proposing that every member country recognise its own national Sign Language as the official language of Deaf people in that country. The Deaf community, through the British Deaf Association and other Deaf organisations and groups, is still campaigning for a legal status for BSL in the UK, in spite that the UK Government recognised BSL as a language of its own rights on 18th March 2003. How many people use BSL in the UK? How many of these users are Deaf? Based on official statistics, we believe the figure is 151,000 and 87,000 of these are Deaf. What official statistics are you referring to? Our statistics are based on the percentage of ‘BSL users at home’ from the Scottish Census in 2011 because the question about BSL was badly phrased in the Census for England, Wales and Northern Ireland. Therefore, this figure does not include professional BSL users, Interpreters, Translators, etc. For every Deaf person who uses BSL, how many hearing users are there? Based on official statistics, there are 1.4 hearing people using BSL at home for every Deaf BSL user in the home. How many qualified BSL Interpreters / Translators are there in the UK? How many people use BSL in England? How many of these users are Deaf? Based on official statistics, we believe the figure is 127,000 and 73,000 of these are Deaf. How many people use BSL in Scotland? How many of these users are Deaf? Based on official statistics, we believe the figure is 12,556 and 7,200 of these are Deaf. How many qualified BSL Interpreters / Translators are there in Scotland? According to SASLI (Scottish Association of Sign Language Interpreters), there are 66 registered sign language interpreters and a further 9 trainee sign language interpreters, as well as 2 Deafblind Manual Interpreters in Scotland. There are 6 Registered Sign Language Interpreting Agencies. How many people use BSL in Wales? How many of these users are Deaf? Based on official statistics, we believe the figure is 7,200 and 4,000 of these are Deaf. How many people use BSL in Northern Ireland? How many of these users are Deaf? Based on official statistics, we believe the figure is 4,300 and 2,500 of these are Deaf. Deaf people can choose from a number of communication methods. An individual’s choice will have been determined by many factors to do with their experience and the nature and degree of their deafness. 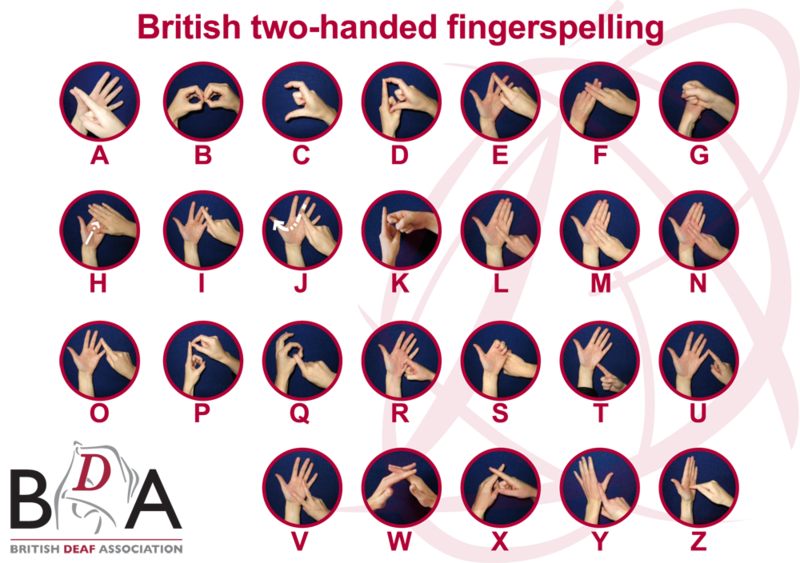 The range includes: Sign Language, lipreading, fingerspelling, Deafblind fingerspelling, written, etc. There are also signing systems which attempts to encode English into sign or to illustrate spoken English. It can be difficult for a hearing person meeting a Deaf person for the first time, not knowing what communication methods they prefer, but the barriers are usually broken down once communication via the right method is established. Best of all, learn British Sign Language! Growing recognition of Deaf people’s needs has led to a rapid increase in the demand for skilled and registered qualified Sign Language interpreters. The presence of an interpreter can make all the difference to proper access to services like legal representation, medical care and further and higher education. In addition an interpreter can assist communication between Deaf and hearing colleagues in the workplace. They also increase access to mainstream theatre, conferences and the news on television. It’s important for people working as interpreters to be well-trained, qualified and registered, with a high level of skill in British Sign Language and a good understanding of the code of ethics which goes with acting as a conduit for the communication of others. At present the demand for their services outstrips the number of registered qualified interpreters and other communication support workers but with increasing number of hearing people keen to learn BSL this situation may improve in the future. Signature and SASLI hold the register of qualified or trainee interpreters in England, Northern Ireland, Wales and Scotland respectively. When engaging an interpreter, it is important to check that they are registered qualified, as many people are working without the appropriate registration. Where possible consult with the deaf person on their communication needs, this includes selection of interpreter. The deaf person may be aware or able to provide more suitable recommendations with interpreting support. Additionally there are growing numbers of Deaf relay interpreters; a trained Deaf person relays information from a signed source to others who require additional communication support, for example partially sighted Deaf people. If you are communicating through a sign language interpreter there are some simple things you can do to make the conversation as natural as possible.